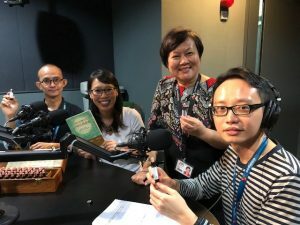 After 10 successful years of reaching out to others, we want to create a bigger platform where people can come together, learn from each other and focus on helping themselves and others. It is this aim that has inspired this rebranding. 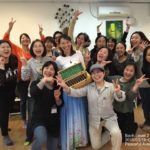 For the past few years, to advocate the Bach system, we have expanded our Bach courses to Indonesia, Thailand, Taiwan, Malaysia, and Bhutan. Gradually, we started to provide support, guidance, and advice to BFRPs training to become certified teachers too. Bach Asia truly represents who we are today and the work we do into the future. For more latest updates, please visit our new website, https://bachasia.com. Hi, a warm welcome to our website, Inner Voice. This place is called Inner Voice because we believe there is a voice in each and every one of us that will guide us to the path in our life. The key is, how do we connect to that little voice, the guide or the soul in us? 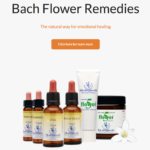 Bach remedies help us to achieve balance in life and thus create space to allow us to be connected to oneself by increasing our self-understanding, self-awareness and eventually achieving self-help. Inner Voice provides Bach Centre-approved courses, Bach consultations, and Bach remedies. 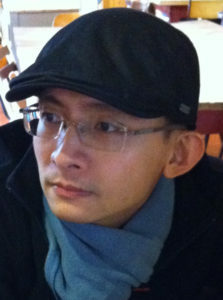 I’m Deki Soh, one of the two founders of Inner Voice. 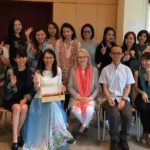 As a passionate Bach teacher, I have taught extensively on the subject of using the Bach remedies to increase self-awareness for many years, with at least 50 courses conducted locally and in countries like Taiwan, Thailand, Indonesia, and Bhutan. As a mentor to Level 3 students, I have mentored around 120 students to become Bach practitioners. I’m sure the participants enjoyed all my courses and you can click to read the course testimonials and view the photos. Click here to read more about me. I’d also like to introduce the other founder, Mr. Ong Hong Seng. 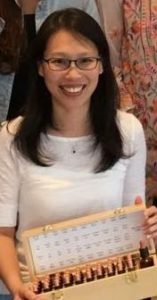 Apart from being a Bach Foundation Registered Practitioner, Hong Seng is also a certified Level 1 trainer by the Bach Centre in the UK, and the first Bach Foundation Registered Animal Practitioner in S.E.A. He completed his Level 1 and started using the remedies widely both for himself, and close friends and family members. He went on to complete his BFRP in the year 2014 and have been practicing since. In 2015, he embarks on the journey to becoming a Bach Foundation Level 1 Teacher. With his love for animals, he continues his education to become the first Bach Foundation Animal Practitioner in the whole South East Asia. Established by Dr. Edward Bach, he strongly believed in ‘Treating the person, not the disease’ and ‘diseases are the result of conflict between body, mind and spirit’, hence emotional states are used as the key to unlock the body’s natural health. There are 38 basic remedies in the system. 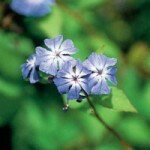 37 of them are made from flower or plant and one of them is especially prepared spring water. Each remedy is devised to treat a different feeling. The remedies will be taken orally. Click here to read more. If you are keen to read more on the research studies on the remedies, the list is available here. Bach consultation~ Seeing a practitioner or self-help? Simplicity and self-help are the keys to the Bach system. 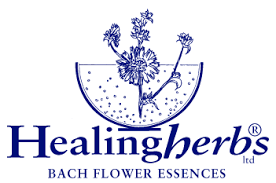 Bach system is an easy to use, simple to understand healing system that makes it possible for everyone to use it. However, if you need some help to get started, seeing a practitioner will be a good way to start your healing journey and thus learn the process to help yourself eventually. Consultation with a Bach Foundation Registered Practitioner (BFRP) will ensure that the consultation process follows the Bach system recommended by Dr. Edward Bach. The purpose of the consultation session is to provide an opportunity for the client to discuss the areas that they want to address in a supportive, non-judgmental and safe environment. Buying remedies? I already know the system and I need to replenish my remedies, how do I do it? The aim of Inner Voice is to share the Bach system through education. However, it’s not possible to learn the system and use them to help your loved ones without the remedies. Hence, since 2012 Inner Voice has made the remedies readily available to everyone. 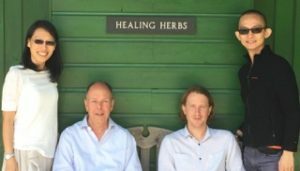 As International Distributors for healing Herbs, Inner Voice has visited Healing Herbs twice in Wales, UK. We were fortunate to be guided through the remedies making process, meet the team of wonderful people that made the remedies with both love & awareness and witness a stringent quality control process that is meticulously crafted. To order the remedies, please click here. I hope all the information covers all you need to know. Else, contact us. We love to hear from you.